PSA Group has published realistic, real-world tested economy figures for 30 key models built by Peugeot, Citroen and DS. The real world numbers will continue to be published alongside official EC test figures. The new figures were established by testing on public roads, covering 15.5 miles of urban driving, 24.2 miles on rural roads and 19.2 miles on the motorway. The route is comparable to typical driving by PSA customers, based on independent surveys. During testing the car is loaded with weight to simulate passengers and luggage, plus the air conditioning is switched on and there are gradients – unlike in the mandated, official test cycle. By the end of 2016 the Peugeot, Citroen and DS websites will have a tool enabling drivers to estimate a realistic economy figure based on their driving style. Commenting on the announcement, Gilles Le Borgne, Executive Vice President, Research & Development, said: "The PSA Group has today published real-world consumption data for 30 Peugeot, Citroën and DS models, in line with the commitment to transparency made in October 2015. “As part of its drive to continuously provide customers with more information, the Group will publish figures for another 20 models by the end of the year and introduce a simulator allowing customers to reduce their fuel consumption depending on driving conditions, thereby lowering their CO2 emissions. 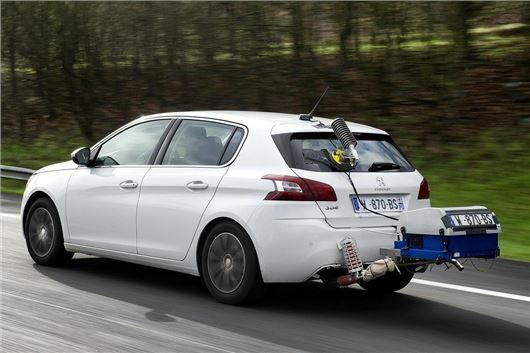 In 2017, the PSA Group will move to the next level by extending measurements to pollutant emissions of nitrogen oxides (NOx) in customer driving conditions." The initial batch of results is below and the figures are reasonably close to those in our Real MPG section. Click here to see all of our Real MPG pages. Well done to PSA Group, Peugeot, Citroen and DS for releasing real-world tested economy figures I wonder ow long it will take others to follow. More importantly how soon will goverments agree real-world testing is needed and thereafter enforce this kind of testing. Good move as not only will it allow customers to see a realistic and not misleading set of economy figures so they can know what to expect, but it also steals a march on all other manufacturers.